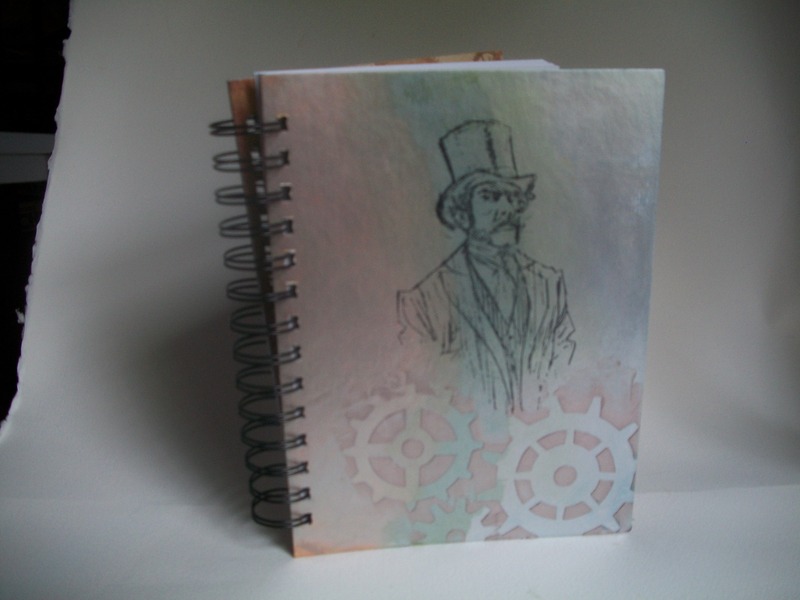 All journals are handmade with a variety of products including: card stock, patterned paper, rubber stamps, paint, stencils, and ephemera. All journals are also hand bound with a Zutter bind-it-all machine which creates the binding holes and crimps the spiral wire. 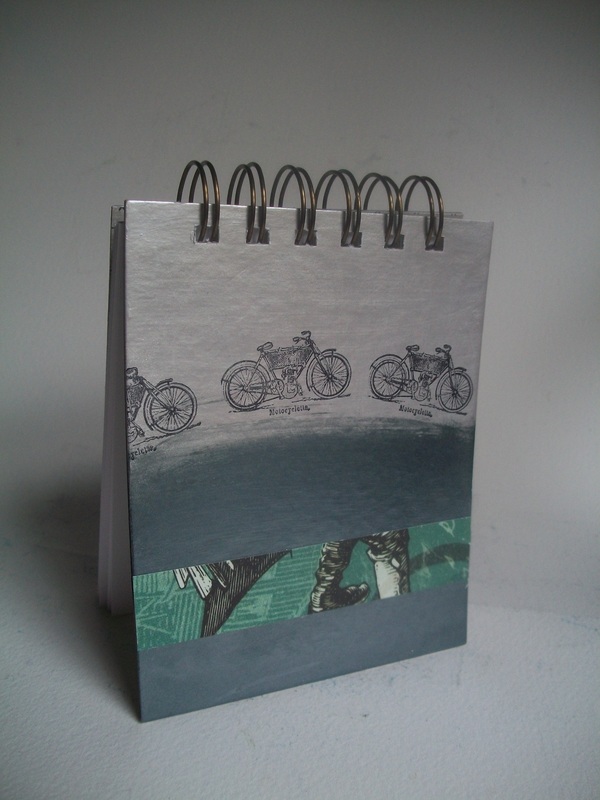 Hand painted and stamped journal with paper detail. 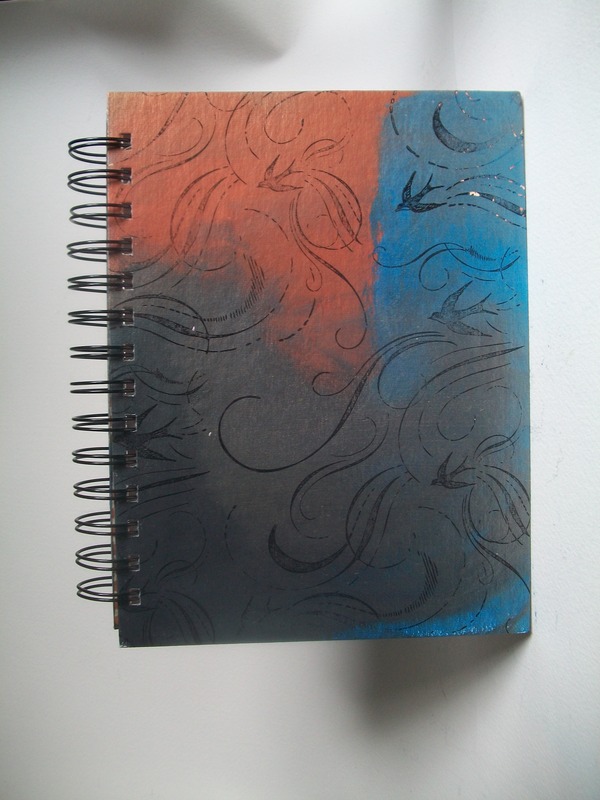 4″ x 5″ with 70 blank pages. 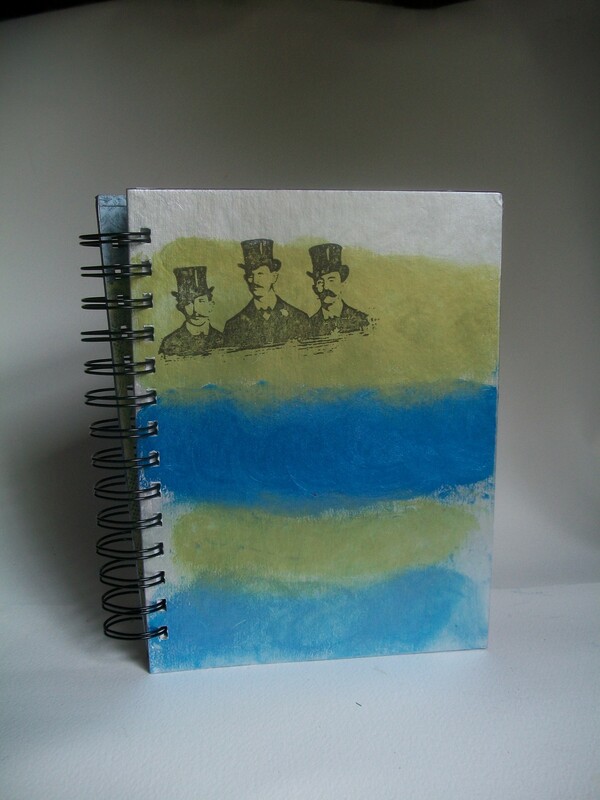 Hand painted and stamped journal. 6″ x 8″ with 70 blank pages.